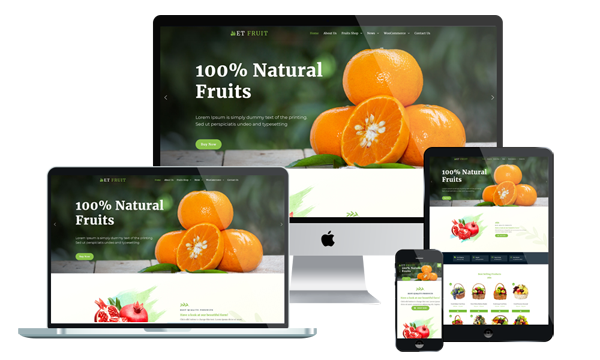 ET Fruit is premium unique WordPress theme that targets for organic food store or farmlands website. Organic Food WordPress Theme is accessible via all desktop and mobile devices. They all have 100% responsive design, optimized for parallax effect. You can easily integrate blog features to your site, create interesting content and drive the engagement. Then, use social media options to share it. Additional features like Google Maps, fonts and contact forms are also supported. Further, you can introduce your new products and agricultural solutions, tell your clients exactly why you are better than your competitors, and keep them loyal via newsletters. Beside, you can easily customize and edit our themes to meet your specific demands. The themes are SEO friendly and they come with a prominent search bar tool at the top of the page.